Management of knowledge and Intellectual Property (IP) is a complex task for consortiums with their own institutions’ Intellectual Property Rights (IPR) specially when collecting corpora. The goal in most European Projects is that project outcomes become public and shared outside the consortium, therefore the IPRs of the sources used to collect corpora must be taken into account. In fact, for some sources, the data collected will not be able to be made public or it will require some conditions. Considering the huge amount of data sources available today, there can be a very large amount of IP scenarios in corpora with different sources. There are data sources with very restrictive IPRs that cannot even be downloaded to a consortium server. On the other side, there are very open IPR scenarios where data can be edited and shared publicly. Some data source required written approval for their data to be used and an extra agreement if the data is going to be shared. 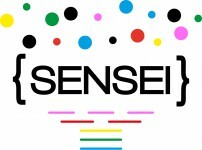 The SENSEI consortium has prepared a Data Use Level (DUL) classification in an effort to make it simple for the consortium partners to identify which data sources had common IPRs scenarios regarding the source own data and its user-generated content (UGC). DUL 3: URLs Only We can share the URLs, but not the content and the UGC. 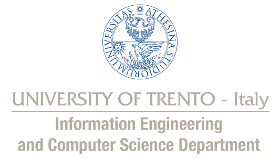 The research leading to these results has received funding from the European Union - Seventh Framework Programme (FP7/2007-2013) under grant agreement n° 610916 – SENSEI.